Justin Willman Chambers was born on the 11th July 1970. in Springfield, Ohio USA, of British and German ancestry. He is an actor, probably best recognized for starring in the role of Dr. Alex Karev in the medical TV drama series “Grey’s Anatomy” (2005-2016). He is also known for being a former fashion model, who worked for a number of popular brands in the fashion industry, including Armani, Calvin Klein, D&G, etc. His career has been active since 1995. 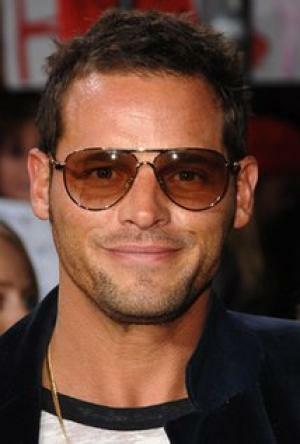 So, have you ever wondered how rich Justin Chambers is? It has been estimated according to sources that the total size of Justin’s net worth is over $12 million as of mid-2016. His careers as a fashion model and as an actor have earned him a big part of his fortune over time. Justin Chambers was raised with four siblings by John William Eugene Chambers II and his wife Pamela Sue; he has a twin brother. He attended Southeastern High School in South Charleston, Ohio, and later, after his modeling career was finished, he enrolled at New York’s HB Studio, where he studied acting for four years. Parallel with that he went to Ron Stetson Studios as well. Justin launched his modeling career in the mid-1990s, when he was spotted by a fashion agent while he was on vacation in Paris. Since then, he has represented several famous fashion companies and designers, and has done numerous commercials for their products. Some of the designers he worked for include Calvin Klein, Armani, and Dolce & Gabana, among others, traveling across the world from Japan to the USA and throughout the Europe, including the cities Rome, Paris, and Milan. This was the main source of his net worth for quite some time; however, he decided to try himself as an actor. Justin got his first role in 1995, when he featured in an episode of the soap opera “Another World”. By the end of the 1990s, he had appeared in such productions as “Harvest Of Fire” (1996); “Liberty Heights” (1999) with Adrien Brody and Joe Montegna; and “Rose Hill” (1997) starring Jennifer Garner. All these roles were rather insignificant; however, it certainly increased his net worth, but also provided him with the possibility to acquire better roles, which he used in the best way possible, as his career took a turn for the better with the beginning of the 2000s. His first role in the new millennium was as Massimo in the film “Wedding Planner” (2001), with Matthew McConaughey and Jennifer Lopez. The same year he featured as D`Artagnan in the film “The Musketeer”, alongside Mena Suvari, and Catherine Deneuve, which had a positive effect on his net worth and popularity. Justin’s big breakout came in 2005, when he was selected for the role of Dr. Alex Karev in the popular TV series “Grey’s Anatomy” (2005-2016), which soon became the main source of his net worth, as he earns $125,000 per episode. To speak further of his accomplishments, Justin has appeared in such productions as “The Zodiac” (2005) alongside Rory Culkin and Robin Tunney, “Southern Belles” (2005), and “Broken City” (2013) starring Russell Crowe and Catherine Zeta-Jones. Thanks to his skills, Justin has received several prestigious nominations and awards, including the Prism Award in the category of Male Performance in a Drama Series Multi-Episode Storyline for his work on “Grey’s Anatomy”, among others. In his personal life, Justin Chambers has been married to Keisha Chambers since 1993, and they are the parents of five children. Justin is known for working with the non-profit Pentecostal Christian Church mission Dream Center of Los Angeles. In free time he enjoys practicing hot yoga. 1 'Grey's Anatomy' has given me a lot of security, especially as my kids have grown older. Plus, for the last eight years, I didn't have to get on a plane and go to do a job out of town or in another part of the world. 2 Oh, I wish I could tell you I was a Mr. Fix-It, but I am not that kind of guy. I get frustrated so easily. 3 And I strongly believe people should rescue dogs, or, at the very least, listen to Bob Barker and have your pet spayed or neutered. 4 Every year, I resolve to take good care of myself and stay in shape. 5 Musical shows are really popular because there are lots of talented kids out there that can sing and dance. 6 Our kids are in a little band, and they like to play video games, and my wife and I do our best to live a low-key, non-Hollywood kind of life. 1 He studied drama at HB Studio in Greenwich Village in New York City. 2 He was a 1989 graduate of the Springfield Clark County Joint Vocational School, and was in their General Merchandising program. He was recently inducted into their Alumni Hall of Fame which honors graduates who achieve success in their careers. 3 Both Justin Chambers and Grey's Anatomy (2005) co-star Chris O'Donnell played the character "D'Artagnan" in different movies based on Alexandre Dumas père's "The Three Musketeers". Chambers starred in Peter Hyams' 2001 film, The Musketeer (2001) while O'Donnell co-starred with Charlie Sheen and Kiefer Sutherland in Stephen Herek's The Three Musketeers (1993). 4 Wife Keisha is a model agency booker who he met while he was modeling for Calvin Klein. 5 1 of 5 siblings, and is of English and Irish extraction. 6 He has a twin brother named Jason. He and Jason have one older brother named John, Jr. (Chip) and two older sisters named Mia and Susan. 7 Was discovered by a modeling scout on the Paris subway.... subsequently represented Calvin Klein in fragrance campaign. 8 Justin and Keisha have five children. From oldest to youngest, Isabella (b. December 1994), twins Maya and Kaila (b. June 1997), Eva (b. March 1999) and Jackson (b. 2002).